We are enamored with Fujifilm’s X-series of cameras, as one can attest after reading our X100 review here. When Fujifilm announced the interchangeable lens camera in the series, the X-Pro1, it could only be paired with three prime lenses with some lamenting the lack of a zoom lens and the kind of flexibility it offers. Well, Fujifilm is certainly looking to expand the X-Pro1 lens universe with a number of new XF-mount lenses. 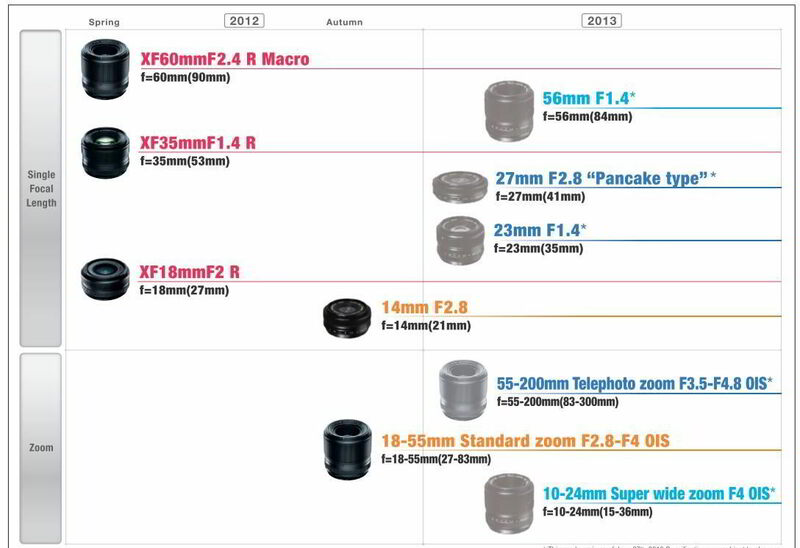 The camera maker announced its lens roadmap for 2012 and 2013, with a 18-55mm, f/2.8-4.0 optically stabilized lens and a 14mm f/2.8 prime coming in the fall of 2012. By 2013 we should also see the introduction of two more zoom lenses, an ultra wide-angle 10-24mm f/4.0 OIS lens and a 55-200mm, f/3.5-4.8 OIS telephoto. Fujifilm is also planning to release three more primes, including a pancake-type lens. Well it can’t get any more official than this. 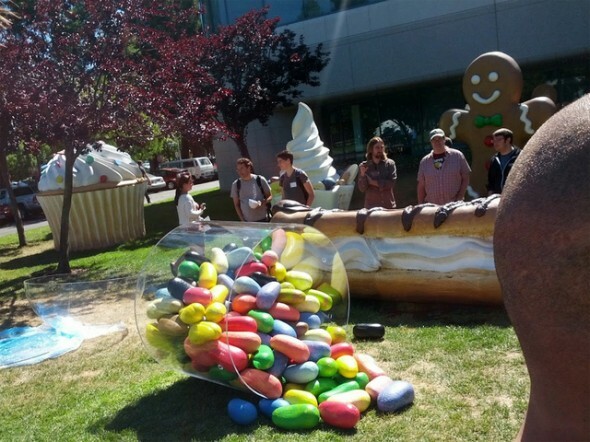 We’ve been hearing and we’ve speculating on Android Jelly Bean (or Jellybean) since last year and with its official unveiling just a day away a new sculpture has taken its place on the lawn in front of Building 44 at Google’s Mountain View campus. The pot of giant spilled jelly beans that you see above was spotted this morning taking it’s place next to the infamous Cupcake (Android 1.5), Donut (1.5), Eclair (2.0/2.1), Froyo (2.2), Gingerbread (2.3), Honeycomb (3.x) and finally Ice Cream Sandwich (4.0) mascots. Out of all the cloud storage music services, Apple’s iCloud is by far our favorite and this is mainly because of iTunes Match. Uploading and syncing even a moderately sized music library is generally a hassle, and I gave up on uploading mine to Google Music half-way, I only keep around 500 songs there. Instead, with iTunes Match all your music becomes immediately available in iCloud as long as it has been matched to music on Apple’s servers. In addition your cloud copies are available in higher definition 256kbps AAC format irrespective of the quality of your local files and we’ve even showed you how you can easily upgrade all your local music using iTunes Match here. Our single biggest annoyance with iCloud and iTunes Match has been that in order to listen to your cloud-stored music on an iOS device, i.e. iPad, iPhone etc., the song would first have to fully download to your device and then played. This meant a delay between selecting a track and actually listening to it, and it also filled up your device’s storage with the downloaded files. Well one of the new features in iOS 6, and one that had generally slipped by, is the ability to now actually stream music directly from iCloud. Apple showed off a ton of new hardware, including updated MacBook Airs and standard MacBook Pros and the new thinner 15-inch MacBook Pro with Retina display, during yesterday’s WWDC 2012 keynote. It also delved deeper into OS X Mountain Lion and unveiled iOS 6. You can actually watch the entire event right here, which runs just shy of two hours, but we if you are pressed for time there is a better option. Below is an 80 second video containing all the major highlights of the event. Be warned that it does get slightly too fast for the average human at times. 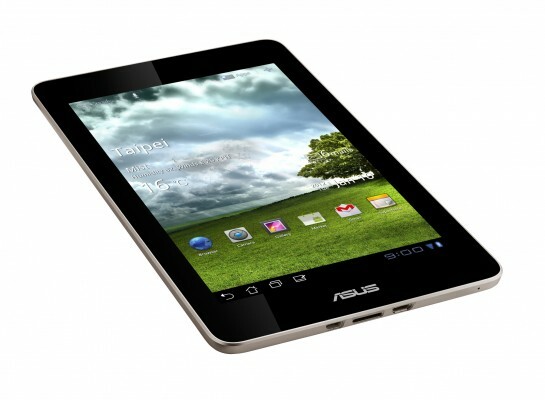 We’ve been hearing about a Google Nexus tablet since the beginning of the year, with ASUS apparently being the manufacturer of the economical 7-inch slab that could be appropriately named, Nexus 7. Well we now apparently have confirmation of the partnership between ASUS and Google from the mouth of a representative of the former at Computex in Taipei. 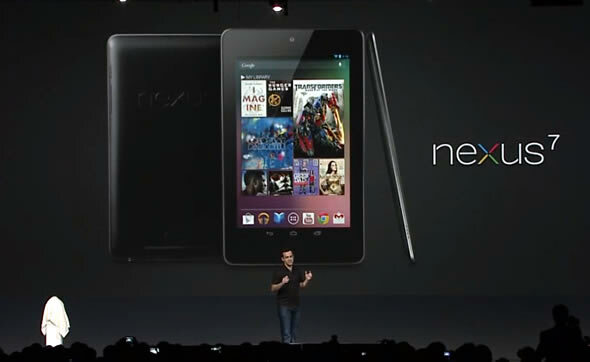 The Nexus 7 tablet is expected to be ready for shipment by the end of June, happily coinciding with Google I/O running June 27-29 in San Fransisco, and the perfect platform to announce the next version of Android. This will be the first tablet to carry the Nexus name, following the Nexus One, Nexus S and Galaxy Nexus smartphones, and you can be sure it will be carrying a stock version of Android. 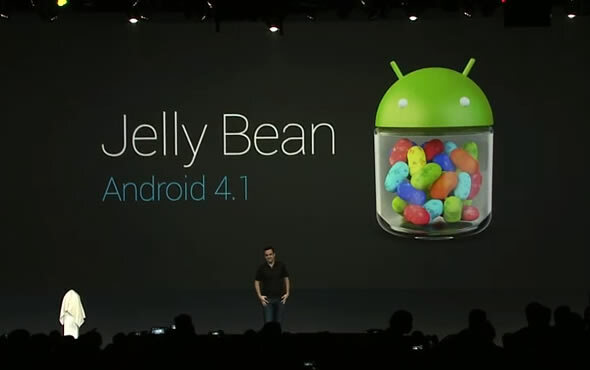 In fact it’s been rumored to become the carrier of the next big version of Android 4.1 Jelly Bean (you can read more here about Android’s naming convention). 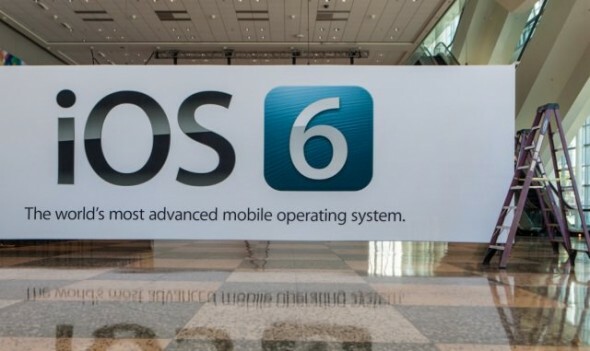 With Apple’s developer conference kicking in less than twenty-four hours from now, and with the confirmation that Apple will to unveil iOS 6, a bunch of iOS 6 beta links have just dropped. Chinese forum WeiPhone has published a full list of links hosted on Apple’s developer resources website pointing to iOS 6 beta .dmg and .zip files for a variety of devices. Obviously the links are not working, but interestingly instead of a ‘url not found’ error the website simply points to an expired session, i.e. this could be the real thing. 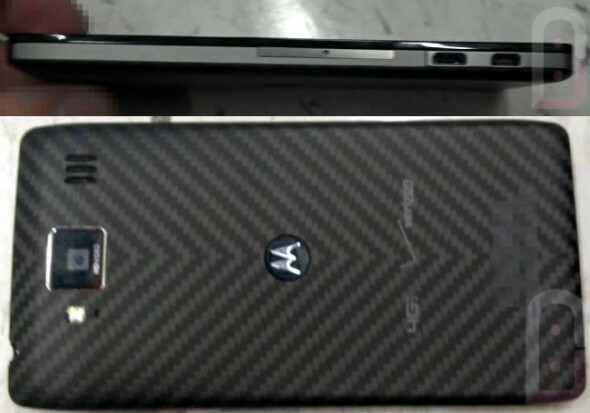 The upcoming Motorola Droid RAZR HD hasn’t really been kept a secret. The Verizon-bound handset has received several earlier leaks but this latest one is the most comprehensive yet. The successor to the extremely popular Droid RAZR and Droid RAZR MAXX maintains some of its siblings’ looks, as you can see from the leaked photos above. The back cover has the familiar Kevlar pattern, though it now extends across the back of the device. 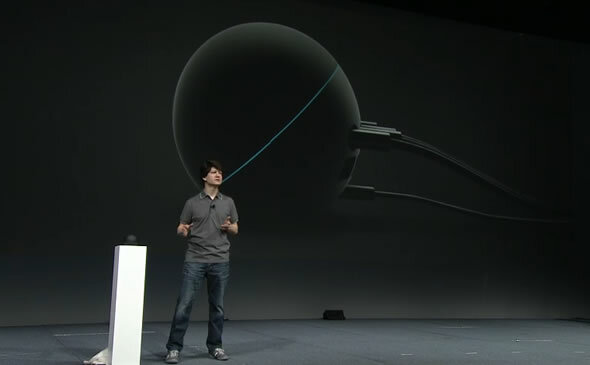 Gone is the hump of the previous generation and the rear camera is now centered at the top of the device. Motorola had touted the thinness of the original Droid RAZR when it was released, though later traded some of it for an extended 3,300 mAh in the RAZR MAXX. We loved the full day battery and so did many of you. Well, as you can see from the images, Motorola isn’t making the same mistake again, and the Droid RAZR HD seems to slide between the RAZR and the RAZR MAXX in terms of thinness. Thus we can assume that inside we still might find a beefy battery. Unless you’ve been living under a rock for the past few weeks, you would know that Apple’s annual developer conference WWDC 2012 is due next week. There have been a ton of rumors including new thinner and retina display MacBook Pros, Ivy Bridge donned MacBook Airs, refreshed iMacs and even, finally, a refreshed Mac Pro desktop, but make no mistake WWDC is all about software. The event will certainly see the official unveiling of OS X Mountain Lion, Apple’s desktop/laptop operating system. Last year we got OS X Lion at WWDC 2011 and we wouldn’t expect anything less this year. Many of the features of OS X Mountain Lion are already known thanks to a number of developer releases. You can expect an even more iOS’ified experience with the new Notification Center, iMessaging, Game Center and Airplay Mirroring. We know smart TVs are all the rage right now but you don’t need to rush out and buy a new set. You can actually get all of the functionality from an increasing selection of inconspicuous media player boxes. 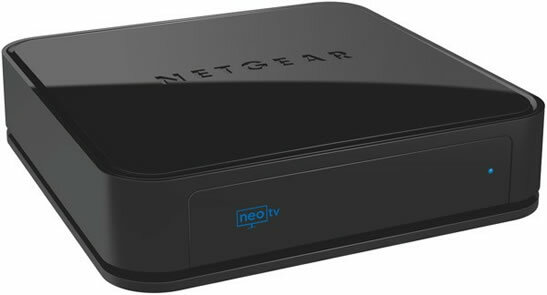 The latest entrant is the NTV200S NeoTV Pro from Netgear, that will surely put some pressure on the current incumbent, the Roku. The NeoTV Pro streaming player comes loaded with 10/100 ethernet, built-in Wi-Fi 300 Mbps (802.11 b/g/n), HDMI video out and the ability to stream up to 1080p video and 5.1 surround sound from a variety of online sources like Netflix, Hulu Plus, Vudu, YouTube and Pandora. Similar to previous Netgear offerings, you can additionally install a suite of apps and games, including Facebook and Twitter. We love using our gadgets, you know when they are actually fully assembled and functioning, but we also have a bizarre affinity to watching them get torn down into dozens of separate parts giving us a glimpse of what’s inside. 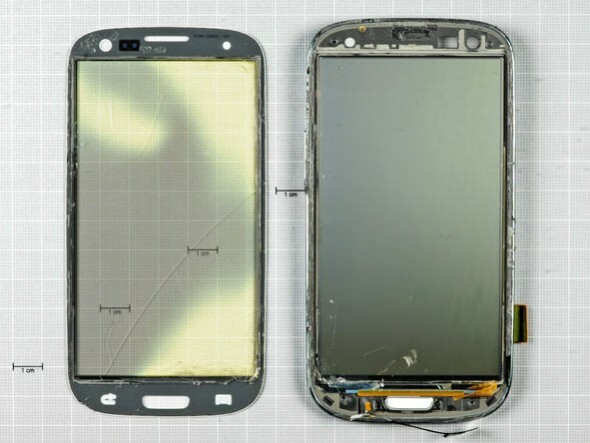 The latest device to have received the teardown treatment is none other than the hero smartphone of the moment, the Samsung Galaxy S III. As usual the good folks over at iFixit did the slicing and dicing, which has revealed a number of tasty bites.